How can this be the last Friday in January already? This month has gone so fast! I am sharing some great sales today - like this $10 sweater dress. And, I am super excited because my fleece moto jacket that I ordered (and was on backorder) arrived yesterday - and I can't wait to wear it. I also recently picked up this classic blazer during a big sale. 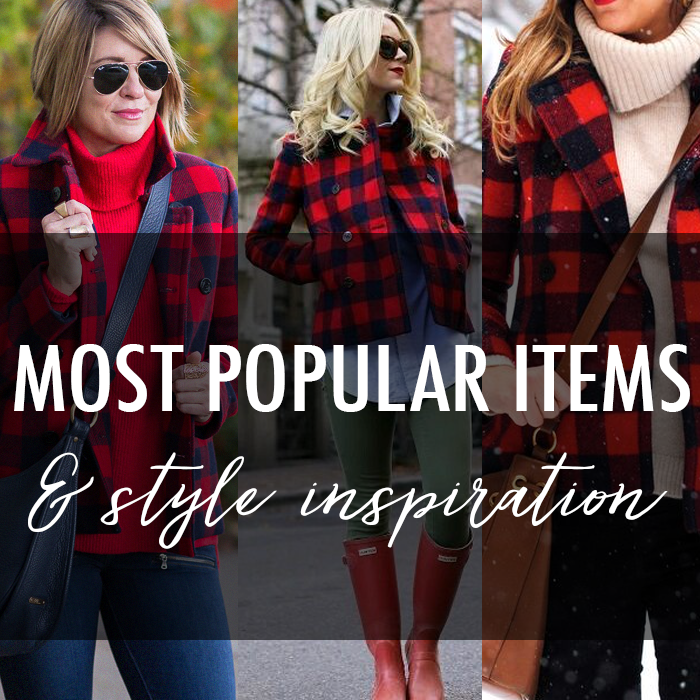 If you like buffalo plaid - I found this $17 plaid shirt, a cute off the shoulder plaid top, a plaid dress that is over 50% off, and this $18 plaid scarf. This comfy hooded “beach” sweater. This cozy cardigan - great layering piece and under $35. My favorite under eye concealer that only costs $7. This floral top that is on sale. This end of season tunic sweater - would look great paired with leggings. This cute hooded sweater that comes in a two great colors and only $19. This $15 blouse - perfect for work or weekend. This striped tunic sweater is on sale for $25. This fair isle sweater dress is on sale for $10! This bright yellow boatneck sweater is on sale for $15. My favorite blouse - in a tango red - and under $25. I cannot believe this blouse is still available in all sizes - and only $20. This sweater dress is marked down from $90 to $10 - awesome deal! This bell sleeve lace top that is 40% off - comes in ivory and red. The popular suede moto jacket is 40% off - and is available in 3 colors. I love this cozy workout pullover - that is 40% off. Also, this week I did a big try on session at LOFT - and all the items are 40-60% off. Image Source: Left / Middle / Right // I am participating in the following link-ups. I always love a great deal, so this post is calling my name!! Love all your picks! That sweater dress from LOFT is such a great deal and so cute too!